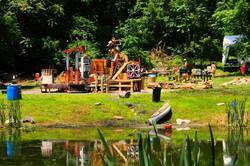 PEX Summer Fest Updates! Workshop Lineup Announced, Art Installations Unveiled! Art Grant installations can now be found on our website!!! PEX Summer Fest brings together ideas, innovations, unique visions and creativity that help us to explore the depths of who we really are! Wander through PEX Summer Festival and check out this year's installations. 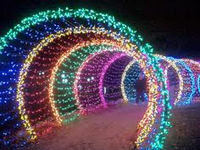 This year's installations include a portait studio, light tunnels, balloon chains, a giant collosal marionette, live chain saw sculptures, table top tennis, a funky tea lab, the lotus lavvu, a dancefloor of propane, an herb labyrinth, mind metamorphosis, an Imaginarium, Rad badmitton, and SO MUCH MORE!! The PEX Summer Festival Workshop department brings together passionate, talented people to lead workshops or lectures in dance, exercise, music, healing arts, crafts, knowledge sharing, movement arts, fire arts, hair styling, drumming, acrobatics, yoga of all types, and more! Plan your workshop schedule for 2016! The Flow Zone is fully curated, with world renowned artists specializing in Flow, Performance, and Object Manipulation. There will be introductory and advanced-level classes in all props - Fans, Poi, Hoop, Clubs, Rope Dart, and Staff - All weekend long! HAVE YOU BOUGHT YOUR SUMMER FEST TICKETS YET?! 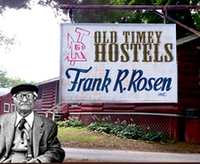 There is only one 10-bed cabin still available for sale and 12 beds still available in Frank's Old Timey Hostel. They're selling fast this year! Better move fast if you want a comfy bed for Summer Fest. We are in need of someone to be in charge of the Brooklyn and Philly bus check-in on the way to Ramblewood on Friday, July 1. If you have an iPhone and are interested in earning a free bus ticket contact us! Did you know we added a bus from Philly this year?! And of course don't forget your tickets! For the past 3 years the festival has sold out before Memorial Day. If you haven't purchased your ticket yet don't delay, because once they're gone..... well they're gone! Thank you all for your many applications! Applications are now CLOSED for ArtCabin Row, Theme Camps, Vending, Work Exchange and Center Camp performance/artwork. We are so GRATEFUL to have so many talented community members and are really excited to offer a space to showcase your amazing talents! !